So I’m reading over the finished Q&A thinking about how to intro this interview and the song Doowutchyalike by Digital Underground keeps popping into my head. While it might be a stretch, Shaun Hill of Hill Farmstead is doing what he likes, having fun and batting pretty close to 1000 while he’s at it. 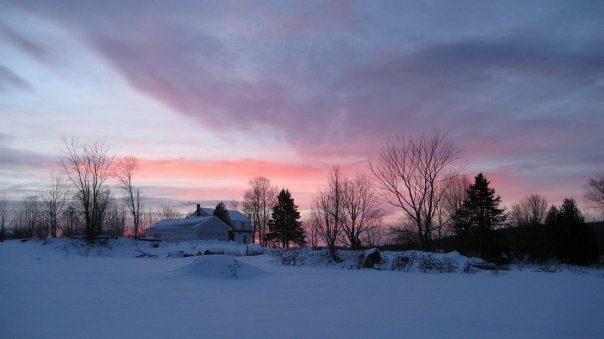 Hill Farmstead is doing what I think is the perfect brewing dream: brewing phenomenal beer in a farmhouse setting… the way he wants to on family land that looks like something out of a painting. In between making the beer that sees a lot of “ISO” on many websites Shaun sat down for a Q&A with me…. ETF- What beer was your sour or brett beer epiphany? Shaun- 2004: Both visiting Brasserie Cantillon as well as drinking a Rodenbach Grand Cru… incredible moment. ETF- As I look over the some of the ingredients in Hill Farmstead beers they include some local flavor like your well water. How important is using local Agriculture products to you? Shaun- The existence of the Hill family in Greensboro is entirely dependent upon agriculture. My roots are entirely agrarian. Locality, when possible, is as much about developing terroir as it is supporting the local community. They are coupled. For us, it is about connection. Hill Farmstead is built upon a connection to its landscape – and it only makes sense, rationally, that we would extend that connection to our producers. Honey, Raw Wheat, Water, Oak, Our Microflora. 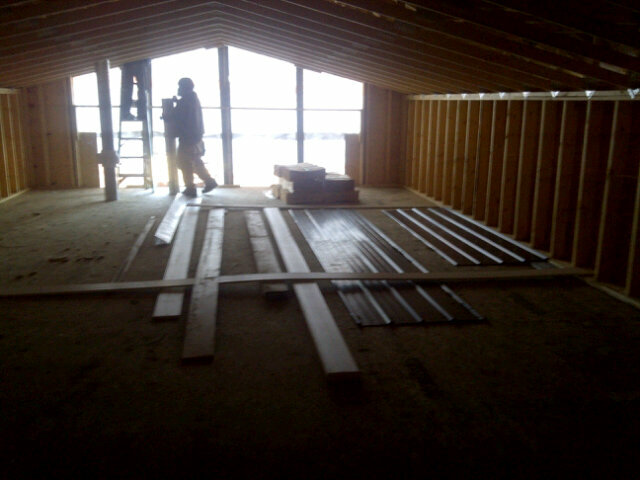 Someday we hope to extend this connection to our hop growers and our malt suppliers. 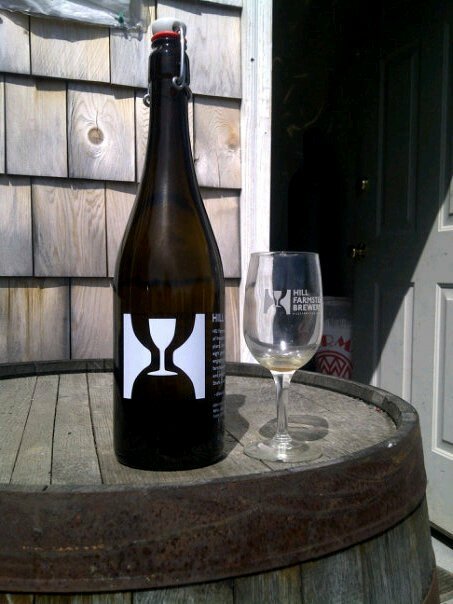 ETF- You guys are getting close to a 2 year anniversary, did you think 2 years ago Hill Farmstead beers would be as sought after as they are today? Shaun- Ha. Sigh. Absolutely not. When I look back to myself, three years ago, constructing a business plan while sitting in a coffee shop or bar in Denmark, I absolutely never believed that our brewery would surge in popularity and acclaim as quickly as it has. 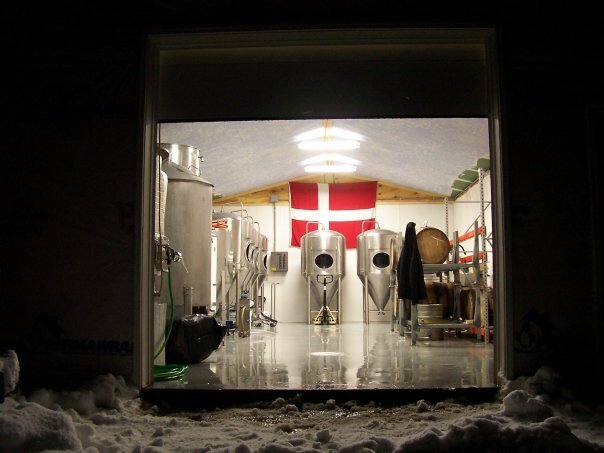 I was courting Mikkel and other Danish brewers as potential “contractors” in case we were unable to fill our tanks. Today, this notion is a stressful thought and an absurdity – as we struggle on a daily basis with allocations and demand. My goal has always been to produce uncompromising beer – truly. If a beer doesn’t meet standards, it goes down the drain. There is absolutely no other method of entering the craft, as far as I am concerned…. be the best…. or don’t bother. ETF- Looking back over the almost two years since you’ve been open, is there one event you are most proud of? Shaun- Several epochs, really. First brew day. Tasting the first batch of Edward on tap at Three Penny Taproom. Our Grand Opening Celebration at the end of May 2010. Our first beer event at Monk’s Cafe in Philadelphia. ETF- What do you consider HF’s most ambitious brew to date and why? Shaun- Most ambitious? All of our beers are ambitious and well thought out… but our most ambitious effort, overall, is the expansion of our barrel aging program. We are now beyond 100 bourbon and wine barrels… which, for a brewery that is 95% draft beer and produces just 1,500 barrels per year… is a significant undertaking. ETF- What’s the status on the coolship install and batches for it? Shaun- Coolship install has been delayed due to planning our next phase of expansion. To date, 3 batches of beer have been inoculated in our cool ship – and all are showing significant promise. ETF- What are the plans to expand the brewery, batch sizes … beer output? Shaun- In just two years, we have doubled in size… almost tripled. We have installed a 15bbl brewhouse and have expanded our oak aging program. The next and final phase is a 4,000 foot expansion that would allow us to expand our production to 3,000 barrels of beer, primarily draft, while taking our oak aging/wild fermentation project to 200 barrels a year. The end. ETF- Speaking on just sour and brett beers, what’s your newest beer that’s maybe just hit the fermenter or you are prepping for? Shaun- We will bottle another round of Flora within the coming weeks. Civil Disobedience #4 was bottled on Friday – ’tis a black saison blend of 5 different beers from 4 different barrels. 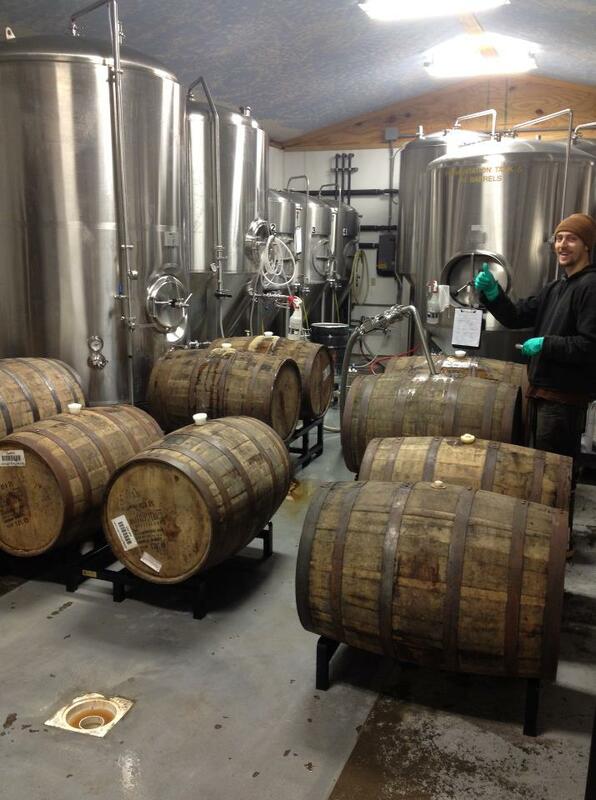 This week we will brew a maple/wheat/coffee imperial stout that will be aged in very select Port and Bourbon barrels. ETF- You’ve done some really cool collaborations, are there any upcoming ones you can tell us about? Shaun- Nothing at the moment. Hoping to escape to Alaska to brew with Gabe at Anchorage by the end of the year. Likewise, a return to Cigar City. Possibly Dieu Du Ciel to brew a Double IPA in Early May… I would love to work with Tomme Arthur or Ron Jeffries in the coming year. The Shelton/12% beer festival will bring a host of EU brewers to New England and, thus, the potential for a Scandinavian reunion with Anders Kissmeyer. ETF- What sour/wild brewery would you most like to collaborate with? ETF- Your brewery logo is very simple, but effective… when people see it they know. So who came up with the design and what’s the insight on the significance of the art in the logo? Shaun- The logo is loosely based upon a sign that once hung in my great great great grandfather’s tavern in the early 1800s. While in Denmark, I became fond of Søren Varming – the designer for Nørrebro Bryghus. He agreed to work with me on my logo/design concept. ETF- What are your thoughts when you see bottles of your beer on eBay going for 2-3 times as much as the brewery sells them for? ETF- For homebrewers, what 2 pieces of advice would you give them to produce wonderful wild beers like HF has? Great job… very informative. Drinking Hill Farmstead beers on my first beer-trip to Vermont last year was truly one of the major highlights of the visit! Pingback: Kort nyt: Flying Couch, grænsehandel, Viborg, Aalborg Beerwalk, Mikkeller, Staarup osv.